This time-tested classic is crafted from sustainably grown Indonesian teak with a smooth-sanded exterior and natural finish that shows off the dense body and coarse grain of this durable material. 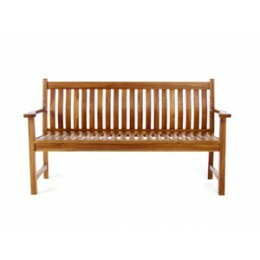 A curved seat and high, back with wide arms gives you the perfect place to sit, and the mortise-and-tenon joints with brass hardware add that final look of fine craftsmanship. 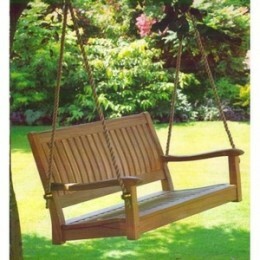 The same, durable teak gives you the smooth rocking motion that you'll love for years to come. Mortise and Tenon joinery for exceptional strength and longevity. Finish: Lightly Stained with Teak Oil. See all Patio Chairs; Loungers; + Benches.